First-Time Buyer Program | Buying for the First Time? 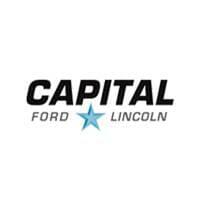 Visit Capital Ford! Capital Ford can help you get into a vehicle, even if you have no buying experience. We want to make the process easy for you so you can start enjoying your new Ford. What is the First-Time Buyers Program? It’s for people with no automotive purchasing experience (no auto financing on your credit) and no derogatory credit. Perfect for any first-time car buyers, recent grads, or newcomers to Canada! Buying a vehicle for the first time can be intimidating. There are so many options! Colour, make, model, features, fuel efficiency, space… That’s a lot to consider. One thing is for sure: when you shop at Capital Ford, our Finance Specialists can help you secure the financing you need, especially when you’re buying your first vehicle. Whether you’re new to Canada or new to the driving scene, we can help you start the next chapter and own your own vehicle. Available for all New Fords and Certified Pre-Owned Vehicles. $1000 down-payment for retail purchases. All standard and subvened rate contracts. Recent student who has graduated or will graduate in the next 4 months. Post-graduate student within 24 months of graduation. Confirmation of employment offer/letter required to Ford Credit’s satisfaction. Purchase and lease terms to match the temporary work/study timeline.